This information is provided purely for guidelines on and clarification of how to interpret some of the terms we have used on this website. It is written and presented in layman’s terms. For this reason, where it alludes to medical procedures it should not be used for diagnostic purposes or as a precise definition for the treatment of hearing loss and hearing health. For professional advice and the treatment of any medical conditions related to hearing, and those in this glossary, please call 0800 612 7978 and ask for a hearing aid audiologist in your area. There is no charge. Or consult your GP. Topics listed here relating to the purchase and supply of hearing aids should not be considered as forming part of the contract if you do buy or receive services from bloom™ hearing. Terms and conditions (T&C’s) may change over time and, where this is the case, supersede those cited in this glossary. T&C’s relating to any purchase you make will be those current at the time of purchase, and made clear to you by your hearing aid audiologist. If there are any other terms on this website and not in this glossary, for which you would like clarification, please email us. When you buy from bloom™ hearing your hearing aids will be serviced free of charge, for life – as long as you are wearing them, and you remain available within the UK for appointments. You can also contact us by phone any time for help and advice. Otherwise we will arrange an appointment to see you once a year so that we can check your hearing, as well as cleaning and servicing your hearing aids. Their performance is also checked. We routinely check your hearing. This shows us if we need to alter the settings on your hearing aids if your unaided hearing levels have changed. All this is free of charge. Although we do encourage you to pop-in to our branches and day clinics, to make sure that our hearing specialist has allotted enough time to see you when you want, and in confidence, booking an appointment is advised. Hearing test and hearing aid aftercare appointments are free, whether at your home or in our local branch. You can book online or call 0800 612 7978. Or check out your local store. The audiometer is the calibrated piece of equipment used to test your hearing and produce your audiogram. The audiogram is the name for the graph where your results are noted. This is equivalent to a prescription for general medicines or for spectacles. It plots your hearing levels in terms of frequencies you can and cannot hear – based on your response to sounds transmitted to you through headphones. Request a hearing test appointment here, or to have your hearing aids checked to ensure they are working to the maximum. Our bloom™ hearing aid audiologists are fully trained and registered with the Health and Care Professionals Council (HCPC). bloom™ hearing aid audiologists are also trained as tinnitus advisors or tinnitus Therapists. Most are also trained in wax removal techniques and advisors in wax management and control. You can book an appointment with a local specialist here. These are specially made for hearing aids and the most common sizes are 312, 10, 13 and 675. They vary and are specified by the manufacturer by size for each individual hearing aid model – defined according to the required power needed for each hearing aid, and evident from the size of battery chamber of the device. The manufacturer details will clearly state which battery should be used, and your hearing aid audiologist will supply you with the correct batteries. Rayovac, Power One and Varta are just three well-known makes. Do not use very cheap un-branded batteries as there is a risk that they may leak and damage your hearing aids. Hearing aid companies – of which one is bloom™ hearing – may sell their own-branded batteries, but look to see who the original manufacturer is – e.g. Rayovac. Battery life varies according to each hearing aid and how long you wear them each day, their lifespan is determined by the size of the battery and the power consumption of the hearing system, typically hearing aid batteries last between 5 and 15 days. bloom™ offer the best quality batteries from £9.99 to £14.99 for ten cards (60 cells). Most high street stores charge £2.50 or more per card, making them £25.00+ for 60 cells. bloom™ offer a full and complete hearing assessment, all of your hearing ability is assessed and where hearing loss is found to exist in both ears your prescription will be for two hearing aids; right and left. Noise Induced Hearing loss – Exposure to loud noise either in one instant or over a prolonged period of time. Hearing loss is usually complicated, slowly reducing the ability to hear clearly. This can lead to many people not recognising the effects for themselves, or even moving more into denial about the loss due to this slow progression being undetectable on a day to day basis. 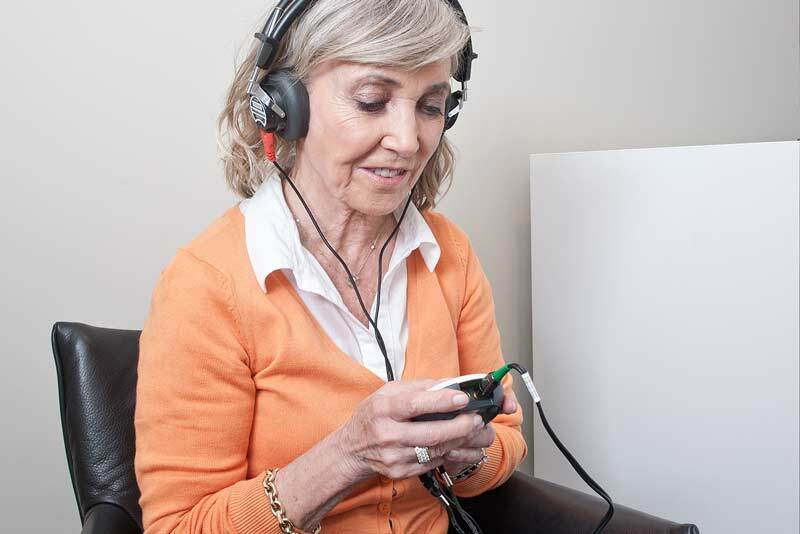 At bloom™ all our hearing aid audiologists are trained in counselling techniques for hearing loss, tinnitus and those who live with an affected person. Consultations are free and in confidence - ask for more information here. Compare this with the car you might be given to drive around in if your car is being repaired. bloom™ hearing provide a similar service – free of charge but for your hearing aids – in the unlikely event that they have to come back for a repair that with take more than 24 hours to return. This temporary loan scheme ensures you continue to hear if your own hearing aids need attention. Request an appointment if you need a hearing aid repair. Or call 0800 612 7978. This is how we refer to measures of noise levels – or loudness. Hearing loss can be caused by excessive exposure to sounds over 85 decibel (85dB). To put this into context, normal breathing is 10dB; a vacuum cleaner 70dB; but a food blender can be 90dB – and harmful. In terms of our ability to hear sounds, frequency also plays a part, e.g. high pitched children’s voices may be lost if we have problems at that end of the scale, but we might hear mid-range adult voices relatively better. Tip: When buying your next food blender, vacuum cleaner, or DIY tool - check what decibel level it runs at, to make sure they remain at safe levels. This usually refers to the level of background interference present to receiving clear sound. Any additional sound outside of the actual sound we want to hear becomes a noise or sound “environment” (e.g. other voices or conversation in a restaurant, traffic, machinery in the background, tinnitus). The versatility of modern hearing aids is such that they can now detect changes in background noise, adjust to each “environment”, so that you can still understand (for instance) the person and conversation you want to hear. Request a free two-week trial of the latest hearing aids - and your chance to experience better hearing in challenging sound situations at home and outdoors. Our hearing aid audiologists are specially trained to be able to fully programme hearing systems and create bespoke product on the same day. Where a hearing loss and cosmetic choice allows hearing systems can be fitted on the day of the assessment. Call us now on 0800 612 7978 - or contact us online about our "instant fitting" option. Also described as a hearing aid audiologist, or simply as hearing aid dispenser within the hearing aid industry. At bloom™ the general term is bloom™ hearing specialists. See and compare with “Audiology/audiologist”. Request a free, no-obligation consultation with a bloom™hearing specialist here. For simplicity, let us limit this to two simple options. These require a mould being taken just inside the entrance to the ear. This impression is then recreated as a hearing aid shell containing the technology. They fit almost unseen inside the ear. The shell containing the technology fits over the ear and just behind, with a wire routed into the ear canal. A receiver, or speaker, sitting near to the eardrum, delivers the sound. Impressions may also be required for these aids to ensure the best hearing results. bloom™ believe in customer choice, in most cases the cosmetic choice of hearing aid is solely at the discretion of the customer. Both in the ear and behind the ear offer an excellent range of cosmetically acceptable hearing aids. Ask for a free demonstration of the different hearing aid fittings. Hearing loss is determined by the measured level below 0dBHL at any given frequency. 0 to 20dB is taken as normal hearing, 20dB to 40dB as a mild loss, 40dB to 70dB as a moderate loss, 70dB to 90 dB as severe and beyond 90dB as profound. bloom™ offer a complete range of hearing aids for losses from mild to profound. Where a person has normal hearing or total hearing loss hearing aids are not prescribed. Request more information about hearing loss here. See “Hearing test” to understand the differences. A screening is performed to determine if a hearing loss is potentially present and if further examination is required. Screenings do not determine the actual degree of hearing loss and are taken over a reduced number of frequencies. Unlike a hearing test, which is conducted by a qualified professional, the screening process may be carried out by a nurse at your local GP or hospital, or other unqualified person. Online hearing tests are actually screenings as they cannot determine the extent of loss and are only an indication as to whether further examination should be sought. At bloom™ all of our hearing aid audiologist’s first objective is to determine if an existing hearing loss can be treated medically, or through simple removal of a blockage. We regard hearing aids as a last resort and will readily refer a customer for medical assessment from a GP or ENT where a permanent non-aided solution may be available. Ask for a confidential consultation, free of charge and with no obligation, with a bloom™ hearing specialist - to discuss options with or without hearing aids. Also known as a hearing assessment or a hearing check. This involves a comprehensive scientific measurement of the level of hearing loss using various measuring equipment including an audiometer. The measurement of the hearing is only part of the assessment; it is important that a medical history is compiled along with a detailed study of your lifestyle and hearing requirements to determine the exact prescription that will meet your needs. bloom™ hearing aid audiologists also provide counselling where needed to help in coming to terms with any loss. Having a significant other with you for a hearing test is very advantageous, this increases the amount of information retained, allows for the views of others living with you to be taken into account and provides support in the event of being prescribed a hearing system. The whole process usually takes 60 to 90 minutes. To discuss this further or to make an appointment - call us or use our online request form. If you cannot get to a local bloom™ hearing specialist in a local branch, we will come to you. The process is otherwise the same as a branch consultation – with no charge, and we request you have a friend or relative with you if this is your first hearing test – someone who also knows how your hearing is affected. A definite time and place will be agreed in advance. Most people have a large number of hearing, or lifestyle, situations in their life. Because this is normal to us we sometimes may not identify them as separate situations. Here are a few to think about. This can be visits to, or from, family in small or large groups. It may also involve sitting around a meal table, speaking one to one whilst others have conversations of their own, or watching television with competing speech. Wireless connectivity may be important. bloom™ offer a wide range of hearing aids with the ability to wirelessly connect directly to your television or music device. This will allow you to control if you wish to hear other sounds, such as speech, or turn them off and concentrate on your entertainment. Both home and mobile phones can wirelessly connect directly with your hearing system, the sound will be delivered to both hearing aids, giving hearing better than average normal hearing in some cases and of course you are in control of whether you want to switch off external sounds. Hearing aids can provide an excellent hands free solution in your car or anywhere where you want to stream sound directly to your ears. Wirelessly connecting to your phone, music device or spoken word, hearing aids can provide great solutions in cars, planes, trains or just sitting in the park. This is probably where listening environments change frequently. Hearing aids can be programmed to adapt to these variations automatically. Mealtimes are great for catch-ups. But every table is buzzing with conversation. Hearing aids can be set up so that you can engage with those at your table, to the exclusion of the rest. Whether business or social, these forums demand you hear every word and answer when addressed. bloom™ can address this lifestyle need to help you keep on top of your game. Theatres and live performances often deliver a wide spectrum of volume and sound. bloom™ offer hearing systems that can automatically adjust to the ever changing needs at a live show. Discuss your lifestyle requirements with a local bloom™ hearing specialist. We will always offer a complete explanation of your hearing. In some cases hearing loss is only found, or is only treatable, in one ear. If this is the case we will explain the situation and prescribe purely for the ear that can be aided. Request a free hearing test so you can compare degrees of hearing loss in each ear. Although hearing aids are simple to use and, in many cases operate virtually automatically, it does help to use them over a prolonged period. This is to ensure they deliver the desired change to lifestyle. bloom™ offer both free trials and a 60-day money back guarantee. If you wish to trial a hearing system for 14 days without offering payment you can do so with bloom™. If you would like the recommended 60-day option to fully assess the full benefits of better hearing bloom™ offer a full, no quibble, money back guarantee for 60 days from fitting of the hearing aids. Take a look at the full bloom™ hearing promise of key benefits with every hearing aid purchase. You can use the bloom™ online hearing test for an initial screening. Visit our website and follow simple instructions to see if further investigation is required. If results show you should have a more comprehensive assessment this will be offered to you, free of charge. This is the process of adjusting – or the hearing aid adjusting itself – to analysed sound within the environment, so that they deliver the sound you actually want to hear. Ask for a free demonstration of the BEYOND hearing aid by Widex. Discover how "smart" the new generation of hearing aids really are. The price includes assessment, fitting, adjustments and lifetime aftercare and 4 year warranty, you will not have further bills from bloom™. Take a look at the full "bloom™ promise" that comes with every hearing aid we supply. bloom™ hearing are members of the British Tinnitus Association (BTA. All hearing aid audiologists are trained to either tinnitus advisor or hearing aid therapist standard. Sometimes specially set up hearing aids can be the answer, but the best way forward is to request a free initial consultation. That way, all avenues can be explored. If you want to be sure about your choice of hearing aids, ask to trial them free of charge for two weeks. The process is simple: book a hearing test; see the hearing aids demonstrated; wear them every day for two weeks. If not, hand them back without paying anything. bloom™ cover all hearing aids to provide protection against parts and labour costs in the event of defective hearing aids. Although this is rare, it does provide peace of mind for the period – usually 4 years. This is not to be confused with loss, theft or accidental damage that is not covered. Contact your house insurance company to see if hearing aids are covered for the latter. See how bloom™ build peace of mind into their aftercare-for-life commitment. bloom™ hearing systems are simple to use and can effortlessly connect with many other devices, TV, music, land telephones, mobile telephones, music devices as well as specialised microphones for lectures or groups. Example: bloom™ hearing aids can connect to your TV allowing the sound in the room to be off whilst you enjoy the sound streamed directly to your hearing aids. You can see wireless connectivity in action with the BEYOND hearing aid, or check out your options for similar features for other Widex hearing aids in their range of DEX accessories.